Professor FAN Kun is an expert in the field of international dispute settlement and comparative legal studies. She has studied and worked in China, Singapore, U.S.A., Switzerland, France and Hong Kong, and speaks Chinese, English and French. She has been teaching at the Faculty of Law, The Chinese University of Hong Kong since 2009, and was a Visiting Scholar at Harvard Yenching Institute in 2012-2013. Before moving to Hong Kong, she worked as a Deputy Counsel at the ICC International Court of Arbitration in Paris, during which she has overseen hundreds of international arbitration cases pending under the ICC Rules spanning numerous industry and regions. She is also a Senior Consultant at Arbitration Asia. She has conducted several research projects as a principal investigator on various topics related to alternative dispute resolution. 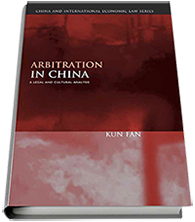 She is author of the book Arbitration in China: A Legal and Cultural Analysis (Hart Publishing) and has published extensively on cutting-edge issues in a variety of leading international journals. In recognition of her academic contribution, she received the award of Support for High-impact Scholarship 2013-2014 by the Committee on Focused Innovations Scheme, the Best Research Outputs for Arbitration Theory in 2015 by China Arbitration Research Institute, and Best Thesis in International Studies by the Swiss Network for International Studies Award in 2011. Professor Fan has been frequently invited for conferences, lectures or professional training sessions at distinguished institutions in a number of jurisdictions, including Harvard Law School, Harvard Yenching Institute, Cornell Law School, Harvard-Stanford Junior Faculty Forum, Cornell-Sorbonne Summer Institute, American University Washington College of Law, UNCITRAL Regional Centre for Asia and the Pacific, Queen Mary University School of International Arbitration, Geneva LLM in International Dispute Settlement, International Law Institute, The Institute for Transnational Arbitration, and Asian Development Bank. 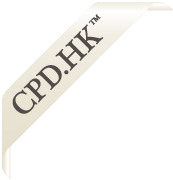 Apart from academic research, Professor Fan also has extensive experience in ADR practice, and has worked as counsel, expert, and secretary for the arbitration tribunal in a number of international arbitrations and as panelists (both as sole panelist and presiding panelist) in a number of domain names disputes. She is called to the New York Bar, Executive Council Member of the China Academy of Arbitration Law, Domain Names Panelist of the Hong Kong International Arbitration Center (“HKIAC”) and the Asian Domain Name Dispute Resolution Centre (“ADNDRC”), Member of the Chartered Institute of Arbitrators, Accredited Mediator of the HKIAC and the Hong Kong Mediation Accreditation Association Limited, and Arbitrator of Zhuhai Arbitration Commission International Arbitration Court and Nanjing Arbitration Commission. She also writes a blog of ADR Thoughts. There is no doubt that with the significant inbound and outbound investment in China, the number of cross-border disputes involving Chinese parties will continue to increase. 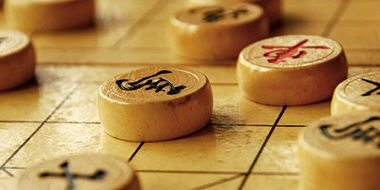 Parties doing business with Chinese counter parts need to be aware of salient features of arbitration in China, the risks and challenges they face, the cultural differences, and how to effectively manage their arbitration proceedings. This course will give a behind-the-scene view of arbitration in China, highlight the unique features, and provide practical recommendations to successfully manage arbitration proceedings in China, from how to draft effective arbitration clauses to what is involved in enforcing awards.